This is the 100th post since starting YankeeBayou last February. Though I'm not at my goal because it still doesn't look as pretty as some other spots; it's grown and morphed and here we are with a refocus on Louisiana for #100! The research for Mardi Gras and our plan of attack is almost complete! I'm going to start with the music, which is a great way to get in the mood for this fun set of events! Here's the official theme song of Mardi Gras! It's called "If Ever I Cease To Love," and was established in 1872 because a visitor to New Orleans (Russian Grand Duke Alexis Romanoff), was fond of this song. Let it play while you read to get you into the same mood I'm in with an excited smile on your face. His visit also established Carnival's official colors because purple, gold, and green were his family's colors. Their usage and meaning remain today. Purple for justice; gold for power; and green for faith. There are many houses with doors draped in this color scheme in our neighborhood; along with the colorful piles of King cakes enticing you at the door of every market in the area. Now we know why! Now that the sensory focus is established, let's examine the reason behind this celebration. 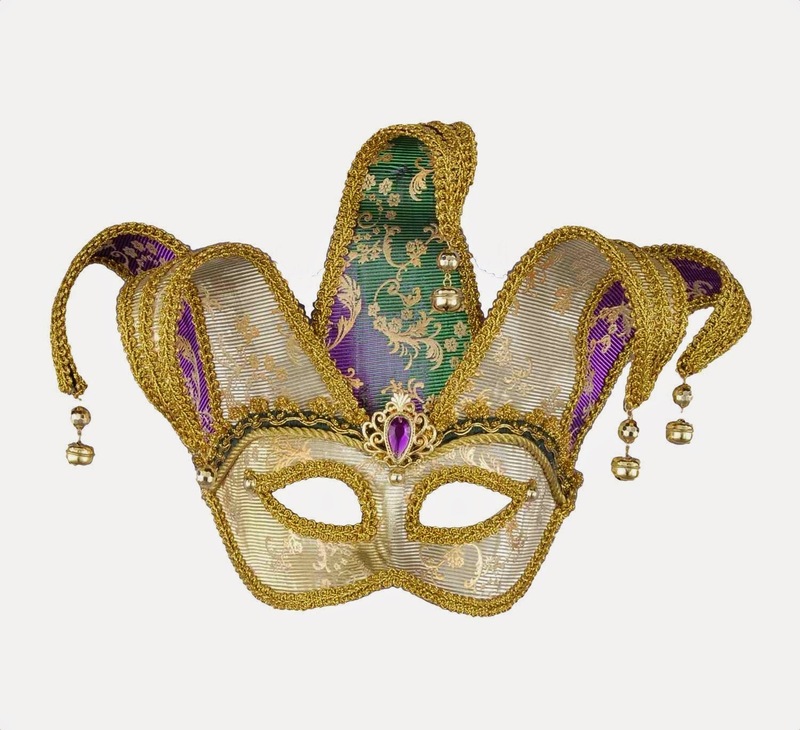 It started in Medieval Europe as "Carnival." Traditionally areas that are predominantly Roman Catholic celebrate with this "mischievous" time of year marking the days before the fasting at Lent. Mardi Gras in French means "Fat Tuesday." This is the day before Ash Wednesday when people filled up on fattening, rich foods before they sacrificed for the fast. A fort (Fort Louis de la Louisiane) in the 1700s in Mobile, Alabama was historically the site where this country's festival began. A plot of land 60 miles south of New Orleans was named "Pointe du Mardi Gras" by a French-Canadian explorer because they landed on that spot the day before the holiday was set to begin. It's almost as if this explorer knew that the area was going to be a gigantic party one day. Houma has its own celebration steeped in rich, Cajun tradition at Mardi Gras. We are excited and feeling lucky to get to experience at least a bit of this celebration first hand. New Orleans has some parades and events that are kid friendly and we will likely attend at least one, but Houma is a much more family-oriented celebration. Some of my new friends stay away, as they've seen the madness. We may be nuts, but we have to see it for ourselves. If you weren't aware, a krewe is a "secret" group that organizes their floats and sometimes later, a masked ball for the celebration. There are many krewes working throughout the year to prepare for the big event. Next year yours truly may join a krewe just for a little extra cultural fun. Until then, we were advised that the Krewe of Hercules is one of the best in Houma. We were also warned that they throw the beads hard, so be careful with the little ones. Um...is this krewe channeling the strength of Hercules? Unfortunately, we'll have to catch this one next year, as we have a conflicting event. On the actual fat Tuesday February 17th, there are three different krewes during the day and those are likely the ones we'll really get to enjoy. The big celebration starts on February 6th and is a holiday week in Louisiana. That suits me just fine, though it's is undetermined whether or not Dagobah Academy will be closed for the entire week. Surely the crowds will scare certain people off the beaten path. We will soak up as much as we can stand though and will surely share with you the result. <Thanks to www.mardigrasneworleans.com/history.html for my new information on the celebration. <Thanks to Amazon for the image of the mask that I borrowed.